END 3Q: Sayville 45, Plainedge 15. 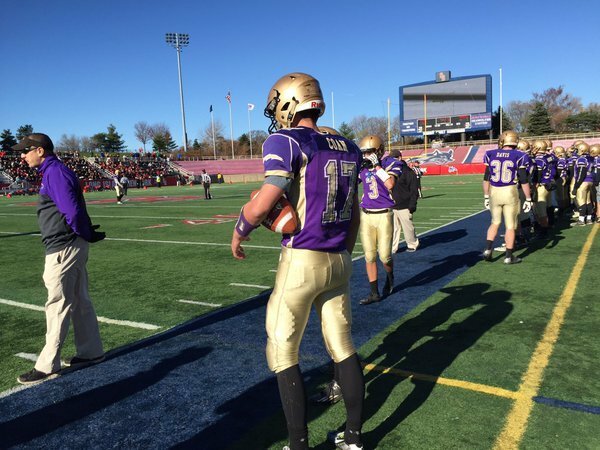 Sayville will start the fourth on Plainedge's 4-yard line. 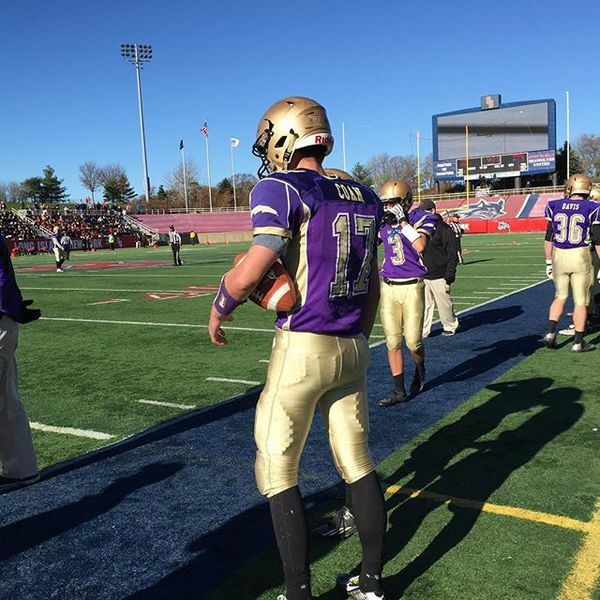 Congrats to Sayville's Jack Coan first player to amass 200 yards on the ground and passing in 59-15 win over Plainedge to win LI Class III. 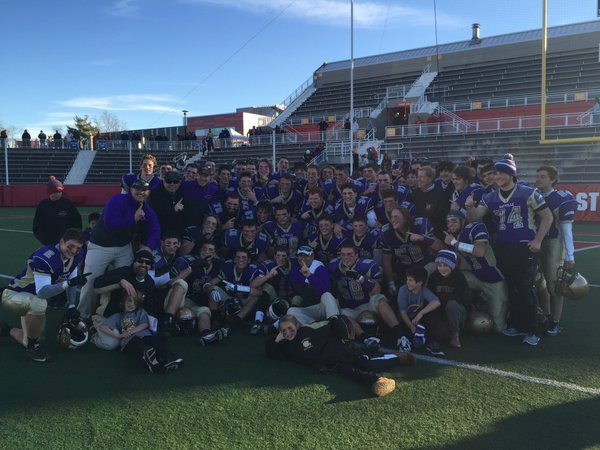 Sayville defense led by Mike Leach and Liam Bailey shut down Plainedge star Davien Kuinlan in 59-15 win for LI class III title game. 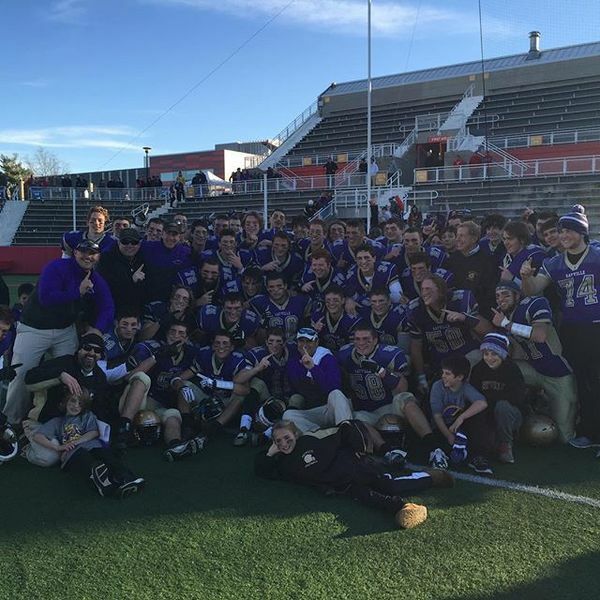 Congrats to Sayville coach Rob Hoss on a 12-0 season after his team beat Plainedge 59-15 to claim LI Class III title. Longwood coughs it up on the first possession and Christian Hernandez recovers at the Lions 22 with 8:44 left first quarter. Junioir QB Anthony Burriesci hits Hakeem Cesar in stride for a 57-yard TD pass and Farmingdale leads Longwood 14-0 Class I final. 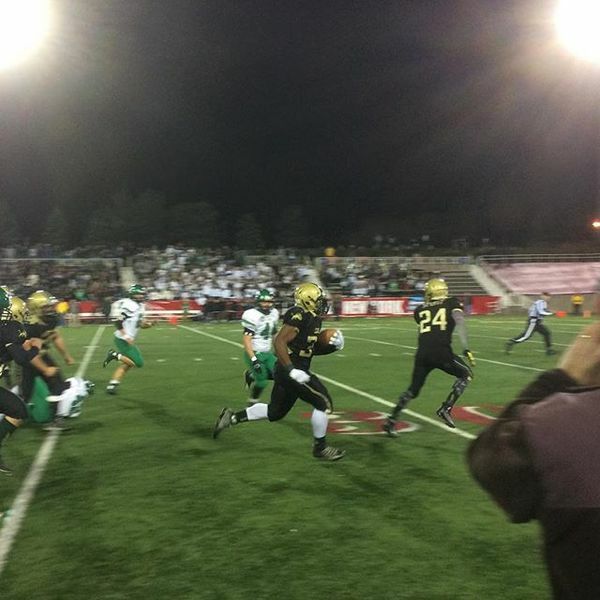 The final steps of Khalil Owens' 76-yard TD run. At the end of one quarter, Farmingdale leads Longwood, 14-7. But the Lions are knocking on the door at the Dalers 8. 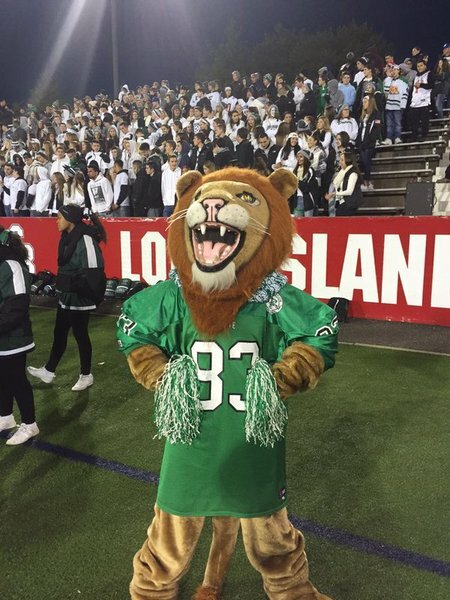 Tahj Clark scores from 8 yards out and Longwood and Farmingdale are tied at 14 with 11:54 left in the half of the LI Class I football final. Tahj Clark evens the score in the #LIC . Tahj Clark evens the score in the #LIC. Anthony Dell'Olio recovers a fumbled punt and Longwood takes over at the Farmingdale 33 with 7:47 left in the half. Latrelle Horton rips off an Earl Campbell like 63-yard run to put Longwood in scoring position at the Dalers 8 with 1:40 left in the half. Tahj Clark makes it #Longwood 21 - #Farmingdale 14.